May your bellies be full and your hearts be warm today. Happy Thanksgiving! From Reid, Cort, and Harry Potter! OMgee what a totally awesome photo! Enjoy this day to the fullest, Lisa!! Happy Thanksgiving! So thankful for the many blessing our Lord has given us! How precious your sons are! Happy Thanksgiving to all! 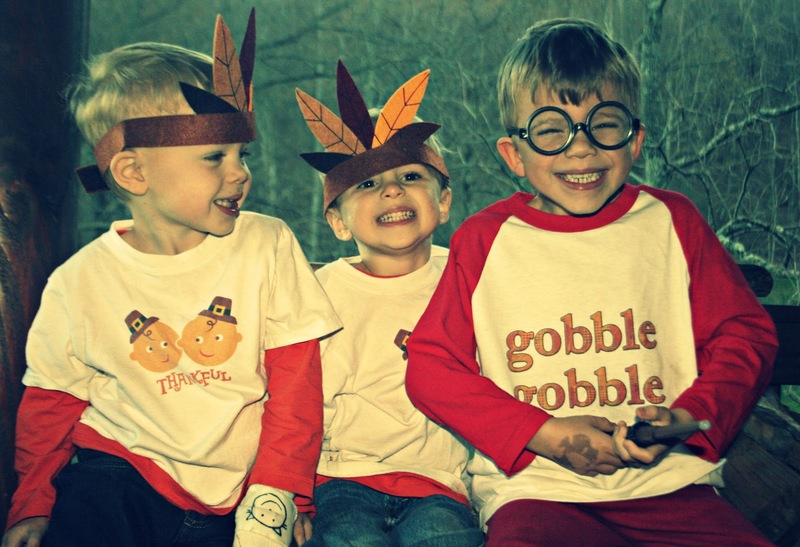 Adorable lil' gobblers! Happy Thanksgiving Lisa! Happy Thanksgiving to Reid and Cort, Harry Potter and their wonderful parents. What a wonderful picture! I just love it. so cute! enjoy your holiday! How sweet! LOVE the photo! I hope your Thanksgiving has been wonderful for you and your family! They are so cute! I love their outfits! It's fun that they like to dress up! Awwww, they are adorable! Happy Thanksgiving a few days late. Oh so adorable. I hope you had a great holiday. Awww, so cute! Hope you guys had a happy gobble day! Waaaaaaaaaaaaaaaaay behind in my blog reading, but I love love love this photo!